Gold Member of the TrulyRichClub. For all these mountain of blessings, we’ve decided to make it very inexpensive so that we can help as many people as possible. For now, Gold membership to the TrulyRichClub is for P2,500 P2000 P497 per month only. Note: You can cancel anytime. Lock in your membership at this very low price before it changes. 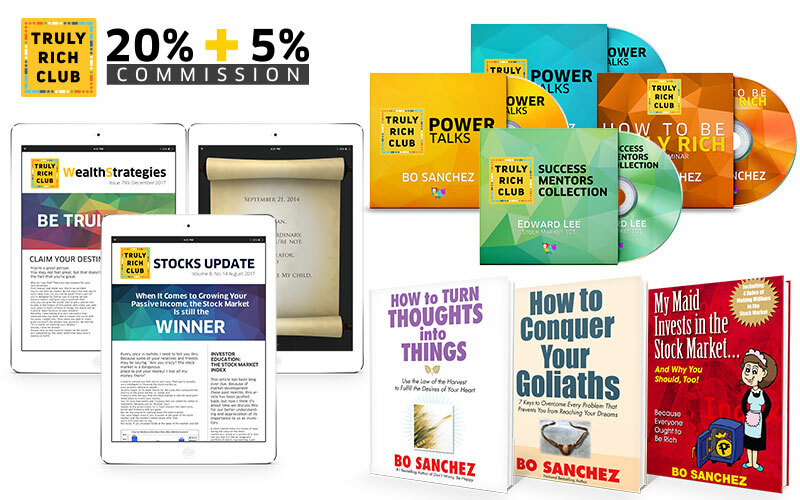 You will be satisfied from everything you’ll receive from the Bo’s TrulyRichClub. If for any reason, you don’t benefit from it, you can simply tell us during your first month of membership, and we’ll give your money back—no questions asked! Make Me A TrulyRichClub Gold Member Now!